It was recently announced that learner drivers will be able to tackle motorways (as long as they are in a duel controlled cars!) in response to feedback from recent learners and the wider driving community. The high speeds can seem intimidating at first, but in fact, when approached safely and in the right mindset, it can be a safe environment. If possible, prepare your route. Know your junctions and where you need to exit. Give the car a once over and check tyre pressure, brakes, and water and oil levels before you set off. There can be big delays on the motorways so also make sure you have enough petrol, and some water for you and the car! When it comes to driving on the motorway, its all about mirrors, mirrors, mirrors. You will need to check them when you join the motorway, when you change lanes, and to know what is happening from every angle. Don’t forget to check those blind spots, especially as you are travelling at speed and it is easy for cars to quickly move into those hidden spots. Don’t be afraid. Most new drivers get very nervous just joining the motorway – never mind driving on it! In general, other drivers are good at moving into the middle lane, or adjusting their speed to help you join safely. Make sure you start to pick up speed when entering the slip road, indicate right and check those mirrors. You may need to adjust your speed, either speeding up or slowing down slightly, in order to move safely into the gap. Make sure you move with the traffic (within the speed limit of course). It can be dangerous to drop your speed and drive slowly when the traffic around you is driving fast. Staying between 60 and 70mph is the best way to drive. Don’t brake unnecessarily either as this can cause accidents as other drivers may not be expecting it and cannot react in time. If you can see traffic slowing or an obstruction just ahead, it is worth using your hazard lights to warn those behind you. If you know you need to exit, get into position earlier rather than later as you don’t want to be pulling across lanes at the last minute. Use the countdown markers to guide your exit. The 3-2-1 marks are spaced about 100 yards apart so provide a great guide to when the exit is coming up. Also, be prepared to adjust your speed quickly after exiting. Slower roads, roundabouts, traffic lights, or a line of traffic could be waiting for you just beyond that exit. When you are used to driving at speed, it can be easy to carry on. Keep your wits about you and distractions at a minimum. 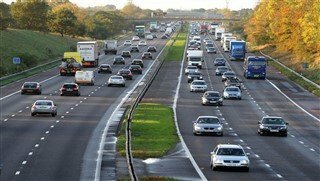 Whilst it might be statistically safer to drive on motorways, accidents can happen, and at such high speeds the outcomes can be more serious. Concentrating so hard can also tire you quicker – particularly as a new driver – so make sure you take breaks when you need to. In case of a breakdown, move into the hard shoulder as soon as you can, switch on your hazard lights, and call for help. It might not be time to join the learner motorway brigade quite yet, but don’t forget, if you are nervous about driving on motorways after passing your test, sign up for your Pass Plus. Your examiner will only ask you to do one out of the four on the driving test syllabus, but you will not know which one until the actual test. So before you jump into the car with the examiner, make sure you are comfortable to complete them all. When it comes to parking safely on the road, this is the manoeuvres you will need. Obviously you want to be close to the kerb and a safe distance from the cars in front and/or behind. It is probably the manoeuvre that most students can struggle with, or think they will struggle with, but try not to panic. Just follow the steps your instructor gives you and you will get it in no time. Let’s be honest, this will be the manoeuvres you will use again, and again, and again… at the supermarket, at the shopping centre, and in every car park you will encounter. Learning to do it right is actual surprisingly easy once you know the step-by-step procedure. Once you learn the how, you will be able to do it successfully every time. You’ve probably heard this be called the ‘three point turn’ by anyone over the age of 30, but you don’t need to actually do it in three to pass your test. Your instructor won’t move you on to this manoeuvre until you have a few key skills under control, like clutch control, reversing, and accurate steering. In narrow or busy roads, it might not always be possible to the do the turn you need. In steps reversing round a corner. Preparation and awareness are key for this manoeuvre, and you will definitely need to give those mirrors a good workout. And watch that blind spot too! You may also be required to do an emergency stop too. It is absolutely essential to know how to stop you car as quickly as possible – without skidding and sliding all over the place. Remember, don’t panic about your manoeuvres. You will get there when you are ready, and the Licence2Drive instructors will have you manoeuvring about in no time! When learning to drive it is not just other cars on the road you have to be aware of. Cyclists on the road can make learner drivers a little nervous. Safety is always top of the list when taking to the road, but even more so when it comes to cyclists. 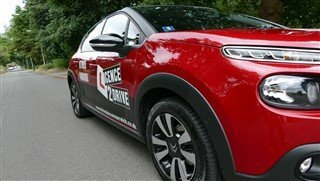 We love sharing our hints and tips to make you a better driver, and here’s ours for how to drive safely when sharing the road around cyclists. Popping on your indicators in good time will help cyclists know what your intentions are. Cyclists won’t know your intentions purely based on your road position, so make sure you give them the right information by using your indicators. When it comes to cyclists, your mirrors are your best friends – especially when turning. Cyclists can be hidden anywhere, so check every mirror and your blind spot before attempting any manoeuvres. 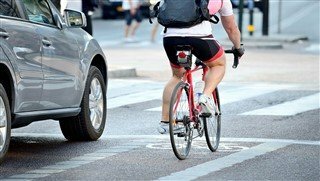 As cyclists can wobble or not be able to ride in a straight line, either due to the road itself or weather conditions, you need to give them as much room as you’d give a car (Highway Code). This is not always possible so if there is not enough space, don’t attempt it. Not only do you need to give them space when overtaking, but also need to keep your distance when driving behind them too. They need time and space when they are making decisions and turning too. Also, things like a sudden gust of wind can send them off balance so give them room to adjust themselves. When waiting at the traffic lights make sure you leave cyclists the space to move to the front, and the time to move off when the lights turn green. Also, as a side note, make sure you stop at the first white line at the lights if there is a cyclist box at the front. So be aware and don’t rush. Remember, you are learning to be the best driver you can be and make the right decisions. Sharing the road safely with cyclists, as well as other vehicles, is very important – and can even be the difference between a pass and a fail on test day. Learn more about driving safely around cyclists by learning to drive with Licence2Drive. Contact us today to book your first lesson with us. Whilst many learners may turn to friends and family to teach them how to drive, it is advisable to learn with a qualified driving instructor instead. Learning to drive correctly and safely from the very beginning is important. Bad habits picked up from learning with others can be very hard to break – and could cause you to fail! All driving instructors should have been specially trained and be able to pass on the knowledge that will help you pass your test, and ultimately make you a confident, safe, and able driver. However, sometimes finding the right instructor for you can be difficult. Word of mouth can be best. If friends or relatives can recommend their driving instructor, or know someone who knows someone, then listen to what they have to say. They will know first-hand what learning to drive is like with that instructor, and if they would work for you. However, if you are new to the area, or have no one to recommend a driving instructor, then the internet will be your next step. Search engines offer a wide list of options and sites like GOV.UK can provide a tool for finding your nearest driving instructors. However, hitting the phones or emails mean that you are taking a chance so it is good to know what to look for. Remember, don’t go by price alone. Whilst most of us will go by price, and what is the best deal for them, most driving instructors work within the same price bands, so it pays to do a little more research. They are the closest things you can have to a normal recommendation from family and friends. Whilst some may appear on their website, check out their social media pages too. This can be the best place to discover what people are really saying about them. Most driving instructors also share their pass results and case studies on social media too so this is also a great way to check out how many people have passed with them. Pass rate is not everything. It is easy to think that the pass rate is the only thing that matters. However, learning to drive is a journey, and as you know, not every journey runs smoothly! Sometimes that has nothing to do with the instructor. 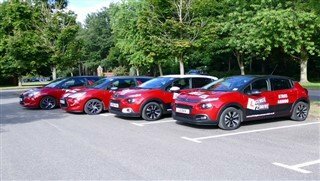 Whilst a high pass rate is a good guide – obviously the ultimate aim is to pass your test – but don’t base choosing your instructor on this alone. Whoever you choose, you don’t have to stick with them forever. Sometimes it is just not meant to be. Your relationship with your driving instructor is important to your driving success, so if you are not happy and don’t ‘click’ then it could be time for a change. This is even more important if you have struggles like serious nerves, or limited flexibility on time. If you cannot make it work, don’t panic. Find another one. Like the prince with Cinderella, you have to keep trying until you find the shoe (or instructor!) that fits! Don’t delay! Find your driving instructor! Licence2Drive has a range of instructors ready to teach you to drive, so meet them here and contact us today to start your learning to drive journey. It is time to learn how to drive and you have found the driving instructor of your dreams (at Licence2Drive). Now the countdown begins before your first driving lesson begins. Whilst you are patiently waiting to start learning how to drive, there are still a few things you can do to get prepared. This may seem like an obvious one but your instructor will need to see it at your first lesson to know that you are legally able to learn to drive. Before you begin, make sure your provisional licence is ready to go and up to date. Know where you are going to meet your instructor. 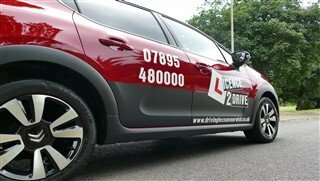 If you are due to meet them in a busy area for your first lesson, they will be able to drive you to a quieter area. After the first time, you will be able to work out where and when it is best for you to conduct your driving lessons from. You might not be ready to take your theory test quite yet, but it is never to early to start! Before your first driving lesson, it would be useful to grab a copy of the Highway Code and start learning some basics for driving on the road. Having some basic knowledge will help you feel a little more confident when getting behind the wheel for the first time. And don’t forget, you will have to pass your driving theory test (link to how to pass theory test blog) before you can book your practical test so everything you learn now will help in the future. Stepping into a car for your first driving lesson can be stressful enough so don’t make it worse by being tired. You will need to concentrate, be clear headed, and be able to listen to your instructor carefully. Get ready by getting a good night of sleep the night before and be well rested. It is the best form of preparation. Hungry people are generally not happy people so make sure your tummy is full before your first driving lesson. You don’t want to be distracted from learning to drive by a rumble in your tummy! Your instructor is unlikely to take you through the drive thru on your first outing! Most important of all is to not let the nerves get too much. If you are struggling with the nerves before your first driving lesson, check out our previous blog on tips for nervous drivers. If you have any questions before your first driving lesson, then your instructor will be on hand to answer them. Let’s be honest, when it rains it definitely pours in Norwich (and the rest of the UK!) so it will come as no surprise that sometimes your driving lessons will have to take place in the rain. Whilst this can make learner drivers nervous, it is great practice for ‘real life’. 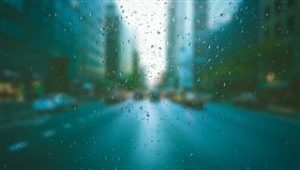 The best advice we can offer is don’t panic, but if you need some further advice for driving safely when it starts raining like cats and dogs, then take a look at our following handy tips. Driving in heavy rain and flash flooding can be dangerous, and if you can’t avoid making the journey, then it pays to prepare. Factor in extra time to accommodate slower driving and potential congestion, and don’t forget to check for any reported delays before leaving. The last thing you want to do in the rain is feel under pressure or the need to rush. Also, make sure you have a mobile phone to use in emergencies – when you have pulled over to a safe place and your engine is switched off, of course! Rain decreases your visibility. It may sound obvious but make sure you know your wipers are up to scratch – both front and back. If they are not working as well as they should be, make sure you replace them before undertaking your next journey. Also, make sure you know how to use them! Feel comfortable with switching them on and off – even if it is just to automatic! Know which speed you will need and when. Knowing everything is working how it should be will give you more confidence. Getting stuck in congestion caused by the rainy conditions will mean that you will use more fuel. Plus don’t forget, wipers, heater, and lights all use up more fuel too. The last thing you need is to run out in the rain. A full tank will give you peace of mind and increase your ability to keep safe. The rain makes the road wet meaning your ability to stop will be reduced by a factor of two. This means that the two-second rule that guides you in dry conditions will become the four-second rule in the wet. Remember to reduce your speed and increase the distance between you and any vehicle in front to compensate. Dark rain clouds mean lights need to be switched on. Think of it as if you turn on your wiper blades then you will need to turn on your dipped headlights. It will improve your vision and mean other drivers see you in time. Overall, the lights will help keep you safe in bad weather conditions. However, make sure you are using the right lights. Fog lights will dazzle other drivers if you do not need them. Dipped headlights are usually the way to go, unless visibility drops below 100m. So until the rain goes away, stay safe!